Welcome. As a KFSSI Magravs Generator distributor I do not work for the foundation, this is only one line of business in the field of work that I do in the open-source, transnational and collaborative New Energy movement. I support the research and development of other such new energy devices which are compatible with the criteria of the evolving business paradigm. One such device is the Quantum Energy Generator I have written about in select articles. For a further list of emerging New Energy technologies please see the Sirius Disclosure New Energy Research portal. The KFSSI Magravs-Power Plasma Generator was released in June 2016. It is set to replace the Magravs-Power Universal Unit and Car Unit which I began covering with my viral Keshe Foundation disclosure article dated October 26th 2015: “New $10 power system for Vehicle and Home in 2016“. The original blueprint versions required electrical signals, the new version is off-grid. In the future this off-grid version will be replaced by Wireless Magravs-Power Units in which no wiring will be necessary. The Magravs Generators have a manual, come with a 2 year warranty, a refund and exchange policy, they are CE certified (not yet in some countries), available with the necessary plug options, and the technology is open-sourced, which means that the blueprints are available in the public domain. The Foundation provides commercial invoices for customs border crossing. Each order includes a statement of origin (for import/export) with the retail price on the invoice. Noteably, the Keshe Foundation has various public contact information details available online. As of august 2016, this new generator is not being shipped yet. General shipping resumes in September but as of august 17th 2016 it is not yet known when the new generators will ship. The energy and cost savings depend on a few factors, primarily centered around the wiring of the collection of circuits in the home. The plasma supplies at least a part of the energy needed for connected devices to operate. Each home is different: the measured decrease in energy consumption based on documented energy bills range from 10% to 100%. The Magravs Generator is a solid state device, it has no moving parts. It weighs 1.5 kg and the packaged dimensions are 20 x 20 x 31 cm. Currently these generators are for indoor use only. Technical frequently asked questions and answers pertaining to the KFSSI Magravs-Power Plasma Generators can be found on the Customer Service Center part of the Keshe Foundation website or the Keshe Foundation Store and Testimonials section. The following public domain information is current as of August 17th 2016. Used as a household energy source, the Magravs Generator can power multiple devices simultaneously: non-resistive loads are limited only by the rating of the household wiring and circuit breaker, while resistive loads have a maximum total 2 kW rating under proper working conditions and when installed according to instructions, indefinately. As of august 2016, adding a cascading unit increases the resistive load rating from 2kW to 5.2kW. By an example, resistive loads are anything with heating elements such as a heater or charger. The Magravs Generators adjust dynamically between 110 – 240 V / 50 – 60 Hz. The maximum peak load is 2.200 W at 220 V and 50 Hz or 1.100 W at 110 V and 60 Hz. As can be seen in the above screen capture from the manual, the maximum continuous load is 200 W.
USA and Canada: NEMA, grounded. USA and Canada: white. Poland: blue. Due to the nature of the New Energy paradigm and scope of the situation affecting global geo-political and macro-economic realm, as a distributor I can offer transparent purchasing unlike most other businesses in operation. This means I can and plan to publish and answer for each step of the way in a Magravs Generator purchase transaction. As a business I am able to guarantee up-to-date transparent public documentation. I sell the Magravs Generators at the same prices as the Keshe Foundation on their website. Currently the Foundation does not endorse selling at prices lower than the advertised 1800 € (Euros) per unit. However, the retail price can be set higher than the Minimum Advertised Price (MAP). For example, a distributor can add the cost of shipping and a wire-transfer fee to the MAP. If the distributor has a purchased credit with the foundation then no wire-transfer fees are applicable and the retail price may be set lower by that amount. If the distributor has local stock available then no shipping costs are applicable and the retail price may be set lower by that amount. Therefore it is beneficial for a distributor to have both credit and local stock available to lower the retail cost of the Magravs units be as close to the MAP as possible. The method of payment as of August 17th 2016 is only by wire transfer (bank to bank). Paypal, credit cards and cheques are not an option. “We have no other payment options available due to the fact that banking institutions, paypal and credit card companies all consider the home/car power units high risk and therefore will not collaborate with the foundation.” The Keshe foundation bank information is public and online. As a distributor I need to have an order of at least 5 products for stock order. Drop-shipping to customers can be in any amount. 1800 EUR per unit (+ shipping, taxes and bank transfer fee), by the client from the Keshe Foundation Webshop, selecting products and checking out with a shopping cart using a wire-transfer (bank to bank is the only available option as of august 17th 2016), waiting up to 90 days for delivery of a Magravs-Power Plasma Generator. Note: after completing the order a customer receives an email with a PDF and the order number and only then issues the payment. 1800 EUR per unit (+ shipping, taxes and bank transfer fee), by the client, it is possible to purchase using the links on my website, by which I receive a commission of 30 EUR per unit which supports my work and my family business. For the customer it is the same as purchasing directly from the Keshe Foundation. 1800 EUR per unit, by the client from me as the distributor (no shipping costs, no taxes, no bank transfer fee). The Magravs Generators can be available locally in-store. Or they may be shipped in a higher priority sequence as the order comes from a distributor. The other benefits may be the retail price offered by the distributor. The customer can also remain anonymous. At the moment I offer online payments: people can pay me by either Polish or Canadian e-transfer, paypal (credit cards), and direct bank-transfer. I then purchase the Magravs Generator(s) for the client at a distributor price in order to have some recompensation for my work. Alternatively, the Magravs Generators can be drop-shipped from the foundation manufacturing site directly to the customer or the customer can pick up the Magravs Generator locally in-store. The shipment is done by courier. It is currently the least expensive to ship across Europe because the manufacturing plant is in Italy. The more quantities the less expensive the shipment is per unit. Unless the distributor has a stock of the items, the shipment is guaranteed from the foundation to the customer within 90 days of payment confirmation. Note that shipments are not processed to PO Boxes (post office boxes). One unit is 80 EUR, 2-4 units: 120 EUR, 5-9 units: 150 EUR. One unit is 80 EUR, 2-4 units: 120 EUR, 5-9 units: 165 EUR. In a given location, territory or country it is beneficial to have a local manufacturer, sales office, distributor and retail stores for propagating the Magravs Generators. This is the Cottage Industry Community Unit (CICU) approach which is being propagated by the new energy movement. As of august 18th 2016, the only official manufacturing of Magravs-Power Plasma Generators is being done in Italy. Manufacturers who wish to collaborate on local distribution. Retailers who wish to sell the units in their stores. Businesses to collaborate with on stock orders in order to have units for customers who do not wish to wait 90 days for their generators. Costs of wire-transfering from bank accounts to the Foundation account. The customer’s duty taxes for shipping: 1 unit, 3 units, 5 units and 10 units. Company stock order taxes for shipping: 1 unit, 3 units, 5 units and 10 units. I am also working on setting up a business with the appropriate paperwork for the corresponding government department in order to have customs clearance, and not have to pay unnecessary customs duties for my domestic stock orders. It can also be beneficial to research warranty laws for my regions in order to see if these correspond with the KFSSI warranties for the given products. To purchase 5 units for stock in Poland that would be a total of 8250 EUR (1650 x 5), plus the corresponding 150 EUR shipping fee (8250 + 150 = 8400), plus 23% taxes if I do not have a VAT# (23% of 8400 is 1932, so 8400 + 1932 = 10332), plus a bank transfer fee (ie 50 EUR) for a possible theoretical total of 10382 EUR (10332 + 50) per 5 units for a stock order. From this theoretical stock I can sell one Magravs Generator unit locally in-store for at least 2076.40 EUR (10382 / 5) retail price in order to make money. So I decide to sell at 2200 EUR per unit locally in-store. If I have no further costs then I make 123.60 EUR (2200 – 2076.40) per unit in my local store. I see that not having a VAT# is an unnecessary situation. Having a VAT# changes the cost of the above calculation to a 8400 EUR total for a distributor paying for 5 units. Then I can sell one Magravs Generator unit locally in-store for at least 1690 EUR retail price in order to make money. I can then sell at the Minimum Advertised Price of 1800 EUR to make 110 EUR per unit. Obviously, any country taxes would still apply in a real local store. This means the customer can pay the Minimum Advertised Price (KFSSI M.A.P.) in my local store, receive a unit immediately, omitting the shipping costs, omitting the duty taxes, omitting the bank-to-bank fees and omitting the 90 day waiting period. To drop ship an order of three Magravs Generators in Poland: I purchase these on the webshop at 1650 EUR x 3 (is 4950 EUR), plus a possible wire-transfer bank-to-bank fee (ie 50 EUR) and the corresponding shipping fee (ie 120 EUR) at a total of 5075 EUR. In order to make money I need to sell each unit for at least 1691.67 EUR, therefore I choose to sell at the Minimum Advertised Price of 1800 EUR in order to make 108 EUR per unit. Obviously coutry taxes apply but this is just a theoretical calculation. In order to purchase a drop-shipment from me, the customer would pay me only 1800 EUR per unit and the duty taxes upon delivery to their door. That would mean they can omit the shipping costs by purchasing from a distributor in this case. I see that the customer still has to wait 90+ days however. The client contacts the distributor with product questions and needs. To place an order the distributor require a name, last name, email, phone number, and shipping address (if necessary). The client needs to transfer the full balance quoted based on the type of sale: unit price(s), shipping cost based on locations, expected bank transfer fee. If applicable the duty tax will be payed by the client on delivery. Unless picking-up at the distributor’s location there is a waiting period of 90+ days (3 months). For my detailed current work in Magravs Generator distribution please see the public document I have created, “KFSSI Magravs-Power Plasma Generators – Distributor Information Package” (on Google Docs). It is updated more easily and more often than blog articles such as this one. The Quantum Energy Generator (QEG) is a “new energy” device being developed within the emergent transnational open-source paradigm. The TeslaGen is a mini version of the QEG, designed for greater ease in prototyping. This article is an overview of the available products from the current state of the QEG project (July 2016) based on information at Fix the World S.A.R.L. and at the QEG Free Energy Academy. Translations in various languages are available for $25 each. Class 1: Detailed documents describing insulation components used to insulate magnet wire from core steel; sourcing, cost, specifications, and installation of core insulating materials; pros & cons of building the QEG core vs. purchasing a fully processed unit. Class 2: Detailed documents and photos of parts needed for completion of Quantum Energy Generator (QEG) core. Class 3: Detailed documents describing insulation components used to insulate magnet wire from core steel; sourcing, cost, specifications, and installation of core insulating materials; pros & cons of building the QEG core vs. purchasing a fully processed unit. Class 4: External wiring diagram; description of drive system components; complete, updated QEG parts list. Class 5: Photos depicting options for wiring, terminal blocks, etc. ; startup and testing procedure; Hazards and Cautions involved with initial testing; Ivan Rivas’ professional Cad drawing package. Class 6: Schematic for recommended load bank; corrected parallel wiring schematic; suggested components for building load bank (with photos); requirements for load bank; recommended components for protection gap (photos); location, mounting and wiring of protection gap (photos). Class 7: Photos of 12-outlet strip and socket adapter; “QEG Mechanically Pumped Parametric Transformer” (document); “sweet spot” test data; QEG Synopsis/call for experiments; original WITTS setup with additional feedback coils over secondaries schematic. Class 8: Includes revised QEG Cautions-Hazards document, electronic regulation, self-looping, and mains/grid interface reference documents, photos/description of recommended test equipment, antenna reference design, revised set-up and test document, call for experiments document. Class 9: Includes updated original schematic, exciter coil development photos, photos and videos of Tesla hairpin radiant energy experiments, “RF Energy via Ionosphere” document (for class study), Litz wire specifications and supplier info., photos of ground network components, photos of suggested generator wiring layout. Class 10: Suggested load bank with switched lamp sockets; 300 Watt rheostat; ground rod; mica fixed and variable capacitors; mica compression capacitors; flat exciter coil with litz wire; original exciter coil; link to Witts video showing exciter coil construction; spark gap in primary xp schematic; spark gap carrying primary current xp schematic; MFJ-6140 antenna kit (ref); EZTM-40 telescoping mast brochure (ref); guy wire system brochure (ref); screw-in guy anchors, guy lines brochure (ref); self-looping principle drawing (ref); TI Solar Inverter kit datasheet. 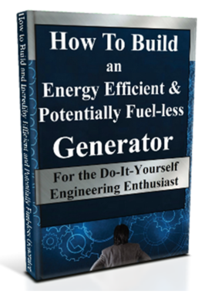 All of the above and more: the QEG Fuel-less Generator Basics Package is a set of instant downloads with lots of extra help and webinar information to help you start building your own free energy generator. Over 15 hours of instructional video from the 2015 live class. Hundreds of pages of supporting documents (PDF). Full professional CAD package with photos, diagrams,schematics and other resources. 15% discount on QEG private consultation. 62 High-Quality, Fully Restored Tesla Patents For Your Quantum Energy Research (PDF). Quantum Energy Articles: John Moray – Drawing Kinetic Energy from Space, T. Henry Moray – The Sea of Energy in Which the Earth Floats, Baldor Launches Energy Saving Incentive, Rotoverter Operating Principles, Transverter R & D, Resonance and Impedance Matching, RF Circuit Design. Exclusive 4th Edition QEG Build Manual – includes all updates to get to overunity in one place: 2 years of research and development including building instructions, exhaustive parts list, full CAD package, schematics, diagrams and photos. 4 x 2 hr. Q&A webinars (total 8 hrs) of instructions for beginner and advanced builders. All of the above and more: a most complete resource for the builder. Hopegirl (Naima Feagin) holds a Masters of Business Administration and is the CEO of Fix the World S.A.R.L., an international business and humanitarian association headquartered in Morocco. She is also the lead project manager for the Quantum Energy Generator Project, which is a free energy generator open sourced by the FTW Organization in 2014. Become a QEG affiliate today and earn commissions by supporting the current transnational grassroots free energy movement. Part 1: The Quantum Energy Generator: Philosophy. Part 2: The Quantum Energy Generator: Theory. Part 3: The Quantum Energy Generator: Practice. Part 4: The Quantum Energy Generator: Store and Academy. Part 5: The Quantum Energy Generator: The Bright Side. This article series in the Connectivist Collective blog continues to be edited after publication because the philosophy, theory and practice of disseminating information about the QEG offers many opportunities for learning. Much of the information pertaining to the FTW or the QEG is copied or paraphrased from source materials. Knowledge has been edited to summarize the essence of the project. This article is a summary of the main information about the open-source plasma technology from the Keshe Foundation. With this technology it becomes possible to power most home appliances for free. Since October 2015, “Magrav-Power Systems” are available at the Keshe Foundation Spaceship Institute (KFSSI) Webshop for about 1000 Euros each. Future versions are expected to drop in price significantly because it is possible to build the systems at home for a fraction of the retail price. As seen below, children are building these systems, as much as child-like adults and many new-energy fanatics. Energy technologies are central to the thriving of humanity on this planet. The global macro-economy is based on energy production and distribution. One simple observation describes the fragility of the system: money circulates as a result of the relationship people have with everything that requires power. The reason why people pay for this power is perhaps the greatest secret in popular recorded history. The energy industry is founded on suppressed physics which has been proven to be a simple monopoly. Current disclosures combined with the evolution of human psychology are transforming popular paradigms which are guarded by the top transnational control groups. However, it is experientially verifyable through common sense perception that Reality includes dimensions which are not taught at top educational institutions. The popular understanding of energy engineering stems from the limitations of popular physics. This branch of knowledge arises out of observations of the natural universe. This universe is something all-encompassing, something unknown. What is called physics is only beginning to merge with the abundant potential of practical metaphysical sciences, the sciences of the way things are, not the way people would like things to be. The Keshe Foundation is one of a few organizations advancing the energy industry by grassroots humanitarian efforts. At the core of its public disclosures are inexpensive open-source energy technologies founded on observable processes of nature. One of these technologies combines magnetics, gravity and plasma to offer a more complete understanding of physics and potentially unlimited energy beyond the grid. This new energy technology is called the Magrav-Power Unit. It is possible to purchase a unit but due to the rapid spreading of the news through live internet broadcasts, people can now create their own energy sources for all their daily needs. This means that the average person can keep most of their income while the energy industry loses most of its income. For a social repository of information pertaining to the story of Keshe Foundation, please visit the Pure Energy Systems Network. What is a Keshe magrav power system? It is a basic prototype system one can build or purchase to power most daily appliances. Future versions are expected for more advanced applications. How does the Keshe magrav power system work? Assemble or purchase a system then connect it to the home, car, or any device. The unit begins to work either instantly or over a little bit of time called the “conditioning” phase. In general, the following physical properties combine to create a unique functioning unit: nano-coated Super-conductive copper wires, magnetic and gravitic fields (magrav), GaNS (Gas in a Nano State), and plasma. Magrav: magnetic and gravitational fields. Also referred to as “maggrav” and “magravs”. Plasma: pure energy of active non-material force fields (magnetic & gravitational) from which the solid physical realm materializes. This happens when the fields are arranged in a certain way. GaNS: Gas in a Nano State is the power source for the Keshe Technology. It is one step below plasma and it can be observed as plasma that acts like matter and energy that can be played with. GaNS occurs naturally and various types can be easily produced for many applications. Nano-Coating: a layer of single discrete atoms of an element coating a surface in the matter state. In the Magrav-Power System, nano-coated copper wires are Super-conductors horizontally and a resistors vertically. It can be helpful to have a sequence of reputable sources when building a magrav power system. Excessive online discussion has created much confusion and controversy over the corresponding approaches. One needs to simply be a “sourcer” and remain in touch with the source of the sources! Consult the Main Page of the collaborative documentation of the Blueprint Teachings. This includes official Youtube channel videos which are saved versions of the official LiveStream channel broadcasts spanning October 26th to November 5th, 2015. Consult the live collaborative blueprint document which includes updated practical working understanding of the official blueprint. Consult the manual from the Official Blueprint site. View the work of other builders on various social networks. Required materials: copper wire, tools, electrical test instruments, Gas in a Nano State mix (GaNS), an installation technician and up to a few weeks time for the “conditioning of the mind”. Make the copper wire coils. Assemble the coils and connect the ends. Assemble the casing, arrange and customize the design. Test connections and add switches and breakers. Condition: connect appliances in a timed sequence. These 50 documentated magrav power system builds include the making of Gas in a Nano State (GaNS), connections to the grid, as well as working examples. Since October 2015, the “Magrav-Power Systems” are available at the Keshe Foundation Spaceship Institute (KFSSI) Webshop for about 1000 Euros each. 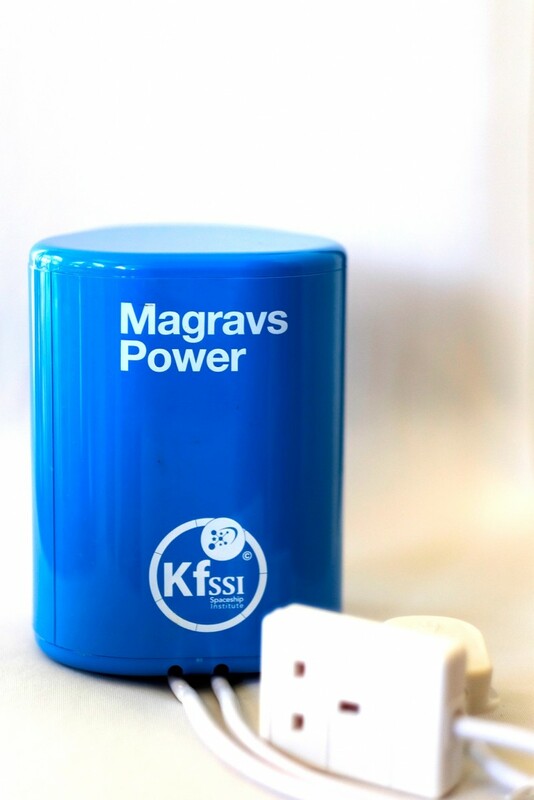 Keshe magrav power systems on the webshop: KFSSI Products. There is also a Customer Service Center. The retail unit prices are: 499 Euros + 300 Euros mandatory donation for the initial dissemination of the technology + shipping + taxes per unit, for a universal system or a car system. All corresponding documentation is provided for customs and shipping. For example, this includes tracking numbers for the USA. Moreover, all units are CE and CSA stamped and sell for the same retail price globally. There is a restriction on inflating or undercutting of prices and a temporary ban on major e-commerce sites. With this product, you are able to support the main outlets in your house. This allows the system to increase the supply that you are receiving and meet the demand that you are using at that point. With this product, you are able to support a fully electric car. As shown on the 68th Knowledge Seekers Workshop, this unit can increase gas milage on your standard gasoline engine as well. Distributors will be listed on the foundation website. One difference in price is that distributors pay 399 Euros per unit at a minimum of 5 unit order. Plasma Generator by the Whatlimit Club, Switzerland. Keshe Magrav Energy by Ali Sharifzadeh, Canada. People’s Creations based on the public open-sourced blueprints. The opening fantasy image for this article is called “Abstract Purple“. Part 2 of 5: Theory. The Quantum Energy Generator (QEG) is a transitional “free energy” device which transforms the lack of a public fuelless energy source to a working prototype version. Compared with current engineering standards, the QEG is not an advanced unit. It has been chosen as one of the first possible solutions for the public development of new, clean, fuelless sources of energy. There are other approaches that are available, many of which have yet to be disclosed. 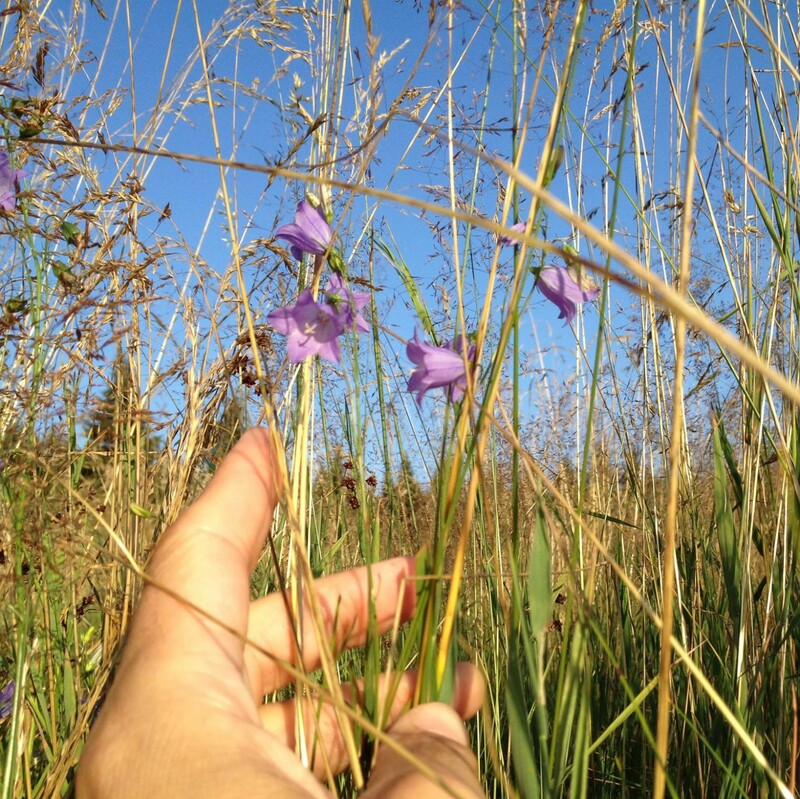 The increasing public support for the QEG is only a portion of the global movement of new technologies which are not only humanitarian but also life sustaining and ecologically sound. The Quantum Energy Generator system is an adaptation of one of Nikola Tesla’s many patented electrical generator / dynamo / alternator designs. The particular patents referenced are No. 511,916, titled simply “Electric Generator”, dated January 2, 1894 and No. 390,414, titled “Dynamo-Electric Machine”, dated October 2, 1888. The QEG is not a complicated device. It is designed (like Tesla’s other discoveries) to work in harmony with nature’s laws, rather than power wasting closed system motor and generator designs used in today’s mainstream industry. The QEG is an asymmetrical open system that operates according the laws of nature. The laws of nature contain concepts that focus on frequency, resonance, vibration, magnetics and energy. The Quantum Energy Generator power unit does not violate the laws of thermodynamics as these only apply to a closed symmetrical system. Asymmetrical open systems have been traditionally omitted from higher educational learning programs. James Clerk Maxwell FRS FRSE (1831–1879) was a Scottish mathematical physicist. His most prominent achievement was to formulate a set of equations that describe electricity, magnetism, and optics as manifestations of the same phenomenon, namely the electromagnetic field. 1) Asymmetrical system: an ‘open’ system that allows the creation of a series of exchange of energy reaction to our inputs, based on electromagnetic resonance or electromagnetic feedback in every spin (on a motor), or in every pulse of input in a static coil. One of the first asymmetrical motors was Faraday’s ‘Unipolar Motor,’ later modified by Nikola Tesla. These systems generate their own energy and do not require fossil fuels. 2) Symmetrical system: a ‘closed’ system that cancels the electromagnetic resonance with every spin, which creates wasted energy in excessive heat and requires an additional energy source to run such as fossil fuels. These are the “symmetrical obsolete systems” we use every day in all of our electrical appliances. One year after Maxwell’s death in 1879, scientists Hendrick Lorentz financed by J.P. Morgan and Thomas Edison, mutilated Maxwell’s original work and spent the next two decades deleting all knowledge of asymmetrical systems that would not require the profitable oil industry to operate. They ‘symmetrized’ all of Maxwell’s equations, and labeled these incomplete theories as the “Laws of Physics”. While the laws of physics do indeed apply to symmetrical closed systems of energy, there is another set of laws: The Laws of Nature, which apply to the asymmetrical systems that have been suppressed by the financial interests of the banking families for the last 130 years. When tuning something to vibrate at the frequency of the earth, while simultaneously reaching zero-point, one is freed from the frequency influence of the environment and can alter the energy into anything including levitation or electricity. This is how the QEG works: Tesla’s design causes it to resonate so that it matches the frequency of the earth, and in zero-point, it changes the energy into self-renewing electrical energy. The QEG works with conventional and unconventional concepts of contemporary physics. In contemporary terminology, the QEG is a “switched reluctance generator“. The current adaptation of the QEG is a conversion from a linear generating system with a reciprocating rod whose period is electrically regulated, to a rotary generating system. The reciprocating rod is replaced by a rotor whose motion is also electrically regulated, by means of tuned parametric resonance (parametric oscillation). The original intent of the patent (electrical regulation of the period (frequency) of a repetitive mechanical motion) is further expanded through subsequent utilization and application of mechanical self-resonance and radiant energy, in order to make the machine self-sustaining. The QEG prototype is scaled to produce electrical power in the range of 10-15 kW (kilowatts) continuously, and can be set up to provide either 120 Volt or 230-240 Volt single phase output. Future design plans include 3-phase power. Service life of the device is limited only by certain replaceable components, such as bearings, v-belts, and capacitors. The basic machine should operate trouble-free (with minimal maintenance) for as long as any good quality electro-mechanical appliance, such as a quality washing machine or refrigerator. An effective way to understand the operating principle of the QEG is to think of it as a self-powered toroidal transformer with high-voltage primary, and low voltage secondary. The primary high voltage is self-generated through mechanically pumped parametric resonance. The resonance occurs as a function of the spinning rotor modulating the reluctance/inductance in the primary tank circuit windings. This modulation initiates an oscillation which can develop up to 20,000 volts (20kV) or more in amplitude, with frequency determined by the tank capacitor value and inductance value in the primary windings. Power is then transferred to the secondary during the intervals where the rotor is between pole pieces (unaligned). The resultant power output is relatively high-voltage, low current AC (up to 5kV or more, at up to 2 Amps or more). In today’s alternative energy terminology, it would be called a type of resonance machine. The circuitry that develops high power in this device is based on an existing but under-utilized power oscillator configuration, however, the ‘quantum’ part of the design has to do with how the basic generator output is enhanced by the core mechanical resonance, and insertion of radiant energy to produce additional power. Conventional alternators (AC generators) consume much more input power than the output power they provide. For example, one brand of power take off (PTO) alternator uses 18,000 watts (24 horsepower) to develop 13,000 watts of output power. In the QEG, input power is used only to maintain resonance in the core, which uses a fraction of the output power (under 1000 watts to produce 10,000 watts), and once development is completed, the QEG will provide this power to its own 1 horsepower motor. This is known as over-unity, or COP over 1 (Coefficient of Performance). Once the machine is up and running at the resonant frequency, it will power itself (self-sustaining). In the QEG, there is no internal, common exciter coil, and no rotor windings. In addition, to look at the circuit diagram, it is not apparent where the input power comes from to start resonance, and this is key; the QEG exciter coil is external to the generator, and the excitation signal is conducted through the quantum field (zero point) into the generator core, to start oscillation. Once the machine builds up to the resonant frequency, it powers itself (self running). Once tuned, the QEG’s sinusoidal output energy is a combination of AC, RF, and radiant impulses, which will drive standard loads equivalent to 3kW (guaranteed) up to 10kW RMS or more, depending on the level of tuning. The output frequency I’m running is 150Hz, which is the ½ harmonic of the M19 core steel’s resonant frequency of 300Hz (this may be different for your machine depending on steel type used), and this is the frequency (150Hz) that has to be converted to 50 or 60HZ to be usable as your electrical mains. The output voltage is dependent upon whether the secondary output is wired in series or parallel, and will likely be 300-350 VAC for series wiring, and 150-200 VAC for parallel. Since people seem to expect a COP rating (which is really inappropriate for a self-sustained machine), I have guaranteed output of at least COP 3.9 based on the ratio of motor input power (768 Watts or 1 HP) to total output power (3000/768=3.90625), or at least 3kW RMS output. The QEG is an electromechanical device and as such, safety for the individual and end user should always be of prime concern. It is therefore essential that persons assembling the device are experienced in the field of electro-mechanical assembly. Some level of familiarity with quantum physics would also be very helpful. The QEG is not competing with other free energy devices. If you are trained in traditional physics and have not been exposed to any Quantum Energy research or designs, FTW recommends becoming familiar with some basic Quantum Energy devices and how they work: for example electrical and mechanical resonance, tuning, and radiant energy. It is imperative to understand the need for professional and expert advice to install a QEG. This notice serves the purpose of communicating the serious nature of building a quantum machine, as we are well aware that there have been severe restrictive agencies involved with their suppression. Quantum free energy is not taught at University and most designers have not been successful at any distribution. It is one’s own responsibility to make certain one is building the QEG with positive intentions for humanity… and all life on the planet and beyond. This article is part 2 of 5: The Quantum Energy Generator: Theory. Part 1 of 5: Philosophy. There has been a suppression of open system clean energy technology for over 100 years. The Quantum Energy Generator project is an attempt at a practical working solution. The devices which create the energy to power everything in our lives can be categorized as closed systems. All of these systems have been designed to ensure consumption of fuel and they all require much more energy input than they are able to output. With open systems, it is possible to accumulate energy already present and to convert this into useable form. It is not necessary to consume something in order to create energy. This project focuses on transmitting the knowledge of open systems into the hands of the engineers who can build them. In its natural state, space has energy. This energy is free. This space is sometimes called “the vacuum”. According to the laws of nature, this free energy is everywhere, it is abundant and can be accessed for various applications. Power systems whose source is energy from the active vacuum have yet to emerge in the public domain. However, there exist devices which act as transitory introductions to these technologies such as the “Quantum Energy Generator”. One of the ways to access and extract clean energy from the vacuum is the use of devices which transform this energy into usable power. Energy can be free, in the monetary sense, when such a device outputs excess energy (“over-unity”) while simultaneously sustaining power for itself (“self-running”). The final building phase of the Quantum Energy Generator (QEG) was completed the moment self-running was enabled in the summer of 2015. This generator is being developed to power a small home and to offer independence from fuels and the power grid. The QEG is not the only such device. It is not even one of the devices which can draw energy purely from the active vacuum – yet it is a significant step forward. The first new, clean, fuelless power production units are currently being introduced through various phases of promotion by means of open-sourcing and crowdfunding. Energy from the vacuum belongs to an advanced category of new, clean energy because it is fuelless and moves beyond clean energy sources such as the sun, wind, and water. Paying for fuel and energy was designed in order to control the macro-economy which does not support ecological sustainability today. Since this is a situation created by people, the business paradigm shift from competition to collaboration is the solution to the energy crisis which can enable the acquisition of free energy. Clean, fuelless power sources confirm breakthrough possibilities which can arise on the scale of civilization. However, public opinion these days is directed by the popular state of knowledge, and thus some of the most adverse reactions to new energy comes from reputable scientists and engineering communities. Skeptics and trolls also play their roles in condemning the transnational development of the QEG, despite ongoing documentation of success. This movement is about bringing free energy to the planet, in particular where there is a need to eliminate war and poverty, and where there is striving towards ecological sustainability. Success in engineering and the applications of working free energy devices is essential, but only corresponding dissemination of practical knowledge pertaining to sustainable lifestyles leads to the harmonious development of free energy. 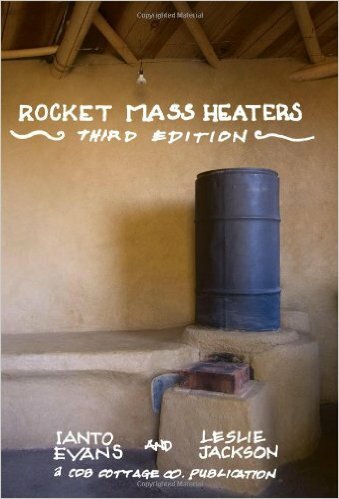 Energy from the vacuum as well as transitional devices can put an end to the growing demand for fossil fuels, eradicate poverty and prolong harmonious life on the planet. New, clean, fuelless energy sources could have been widely available for at least 100 years. Natural shifts in human consciousness combined with corresponding technological advances have (at their material root) the power to bring understanding of international conflicts which are commonly based on the acquisition and possession of energy resources. It can be deduced that new energy sources in the hands of an aware people can resolve the needs for unnecessary patents and militarization. Note from the author: Much of the following information pertaining to the FTW or the QEG is copied or paraphrased from source materials. Knowledge has been edited to summarize the essence of the project. Fix the World is a Humanitarian Projects Organization established by a group of volunteers in 2012. It holds an array of project plans that involve clean energy technology, alternative healing, environmental cleanup, alternative education, spiritual awareness and sustainable communities. The work is focused on helping to implement a new paradigm by spreading awareness of real solutions to the planetary crisis, while exposing corruption and the suppression of ideas. FTW has been working towards building an infrastructure with which to fund and implement the projects for the last four years. The Quantum Energy Generator (QEG) is the first project intended to bring a “free energy” device prototype to power a home, and then give away the plans for free on the internet. The main purpose of this strategy is to allow access to suppressed engineering information to the “common man” so that other DIY engineers can replicate the device and co-develop its improvements in an environment free from patents and non-disclosure agreements. FTW builds QEG prototypes and teaches the technology to engineers and offers educational materials with consulting services to independent groups. The Quantum Energy Generator (QEG) is an open-sourced (patent-free) fuelless generator prototype based on an invention of Nikola Tesla. The generator is designed to be a highly efficient energy source. It is enough to power a home while decentralizing the power grid. The QEG build has been crowdfunded in phases, and co-developed with many teams around the planet. This generator and its unique form of energy production, along with other similar devices, can change the paradigm of our world. The cost of energy influences the price of everything a person buys. The accessibility of energy determines the freedom or control over people. Changes of this kind do not happen overnight. They happen over a period of time, and in some cases over a period of generations. The main goal of the QEG project is to transmit this technology into the hands of the people so that everyone can use it to transform their lives. For two years the group has been working towards funding the creation of an international business entity that can provide the administrative foundation for which to implement the global humanitarian projects. FTW continues to work towards achieving the funding needed for this goal while strengthening the network of contacts and creating a collection of tools and content that provides value to target markets. FTW aims to provide tools to help people implement their ideas through online new paradigm business courses, e-books, webinars, and key note speaking engagements. The group creates quality informational content to help spread awareness of real solutions through blog posts, youtube videos, Internet TV shows and interviews. FTW facilitates communities and project organization through workshops, meet-up groups and new paradigm networking functions. The organization is pioneering new paradigm business concepts through the launch and implementation of our pilot project, the Quantum Energy Generator. FTW does not know of any other organization that publicly or privately discloses their expenditure reports. This is a service FTW provides to exemplify our core value of transparency in all financial interactions. The organization wishes to pioneer this behavior for others to emulate in the new paradigm. FTW has had a few successful crowdfunding campaigns which are also documented in the expidentures report. FTW opens new community center for the poor in Morocco. Donations to the FTW organization. Accepted: paypal, credit cards, bitcoin: one-time, monthly. Memberships with the FTW organization. FTW can no longer answer any individual questions about the QEG through emails, or comments on Facebook, or the Hopegirl 2012 blog. For questions regarding the QEG, please be sure to read through the QEG FAQ first. While working as a Financial Analyst with a billion dollar Investment Bank firm, Naima Feagin became a whistleblower and created a movement under the name “Hope Girl” to join those who are working to end corruption and create a new paradigm. Her first viral blog post “While You Were Asleep: The Story of the 2012 Revolution” highlighted the facets of hidden corruption in the global economy. Shortly after, she reached out to the world asking for solutions and compiled a book titled “How to Fix the World”, which provides solutions to some of the world’s most pressing problems written by 300 people from 37 countries. 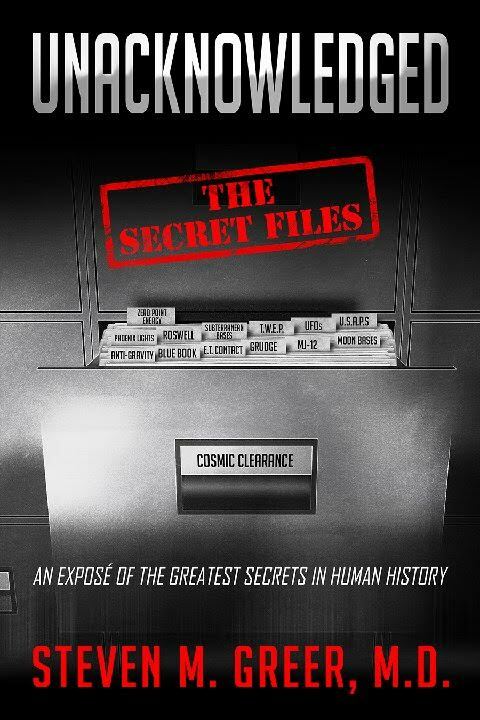 The book was then made into a documentary film of the same title and showcases many of the planet changing project ideas from around the world. Holding an MBA and a variety of business experience, she wrote “A New Paradigm Business Model” and founded the Fix the World Organization (FTW), dedicated to manifesting planet changing ideas through humanitarian projects, learning, and a network of resources. FTW holds plans for over 60 projects, with over 40 partnering organizations and a social media following of approximately 200,000. In 2013 FTW launched its pilot project of local community production and distribution of a Quantum Energy Generator. James Robitaille is available for private consultation sessions via skype and also to build QEG’s on location by request. Scheduled Consultation hours Available are: Tues and weds from 11 AM to 3 PM EST and 6 PM to 10 PM EST. Recently, FTW reached an important milestone that our supporters helped achieve: FTW has obtained a SARL! (International Business Entity) Our first formal mission under this business entity is the opening of the Morocco Community Center for the Poor, showing how the work of the Fix the World Organization has blossomed. The FTW/QEG Team would like to announce the opening of the QEG On-Line Academy, Monday November 9, 2015. Please see our mainstream media press release below, and [ QEG Online Academy ] for all the available courses on ebooks, webinars and DVDs. 40 % off all QEG Academy courses and products. Torelco can help with QEG builds by cutting steel and winding thousands of turns of wire for the core. Torelco sells all the necessary parts separately. One can choose between an epoxied or non-epoxied core. All orders are delivered for a reasonable shipping rate. Torelco and the FTW QEG project managers have been working closely together now for almost 2 years developing the QEG technology, best practices, accessibility to people, and lowest prices available for this project. This article is part 1 of 5: The Quantum Energy Generator: Philosophy. 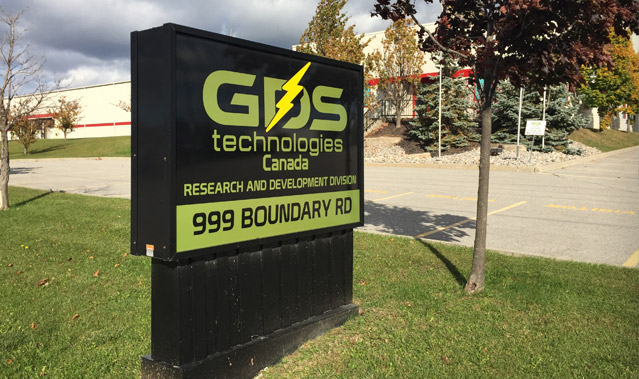 Today, October 30th, 2015, GDS Technologies Canada releases its water-powered generator for 2016 pre-orders. The GDS5000 is an emissionless, renewable power source producing 5000 watts using only water! Simply fill up the tank with 4 gallons of ordinary tap water and go! The amazing “on button” starts the battery, pump and turbine which then produces power for the home, cottage, shed and hobby projects. The only maintenance requirement is a “draining and spraying” once every three months. “Our generators are 50% less noisy than regular fossil fuel generators and can be used indoors because they are emissionless: no fumes and no pollution. The maximum run time is 4 continuous hours per day. These generators are primarily designed for emergency backup use. The design of the generators is patent-pending and all components of the generator units are ESA (Electrical Safety Authority) approved. The GDS5000 can be pre-ordered today for $5000 USD. Large capacity tank with incorporated digital gauge provides durability and extended run time. Fold down locking handle for sturdy portability and compact storage. Heavy duty never flat wheels for reliability portability. Covered outlets provide added protection from the environment in rugged working conditions.